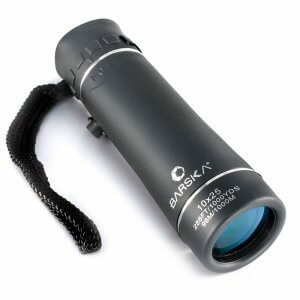 The Barska 10x40 Blackhawk Monocular is ideal for all outdoor activities thanks to its all-weather conditions design. 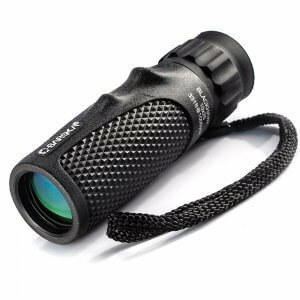 The Barska 10x40 Blackhawk Monocular has an O-ring seal for complete waterproof protection, dry nitrogen purged, sealed to prevent fogging, clouding and moisture damage. 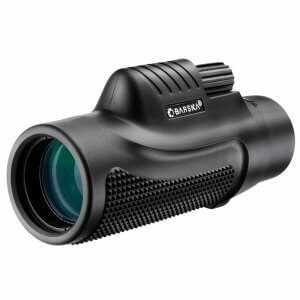 The Barska 10x40 Blackhawk Monocular has multi coated optics for increased clarity, BK-7 prism for crisp images and large knurled center focus knob for precise focusing. 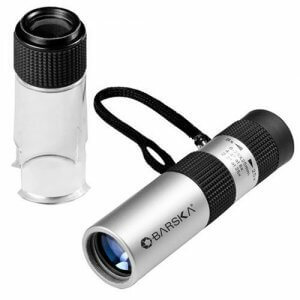 The Barska 10x40 Waterproof Blackhawk Monocular comes complete with a non-slip, diamond textured rubber design for a secure grip and shock-absorbing rubber armor. I am a starter and Marshall at our local golf course and overall outdoor enthusiast. 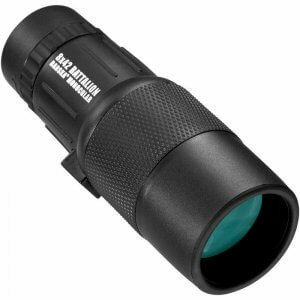 The 10 x 40 monocular is the perfect tool for all my activities. Thank you for making a wonderful product that I am proud to use and endorse. When you compare quality vs price, this goes above and beyond all expectations. 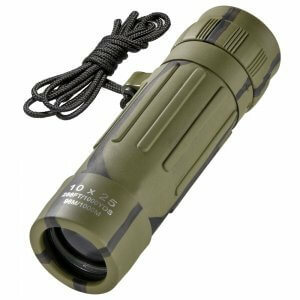 It's a nice waterproof monocular that has been a great companion when I go kayaking. Easy to focus and gives quality views with excellent details. Solid feel. Terrific for hunting. 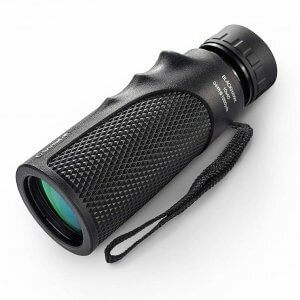 These monoculars are easy to carry around and take up considerably less space than my binoculars. Since I got them four months ago, they’re still working great. It feels solid to the touch and is waterproof. 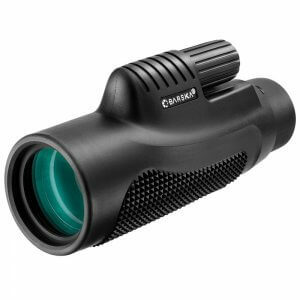 Only requires quick, simple focus adjustments and it has a useful carrying pouch. One of the best I have for observations in twilight conditions. Amazing picture, strong and reliable grip, convenient size and shape. Strongly recommended for bird watching and hiking/biking. Love it.